If that is a question and it is directed at me, my answer would have to be neither. My interest ends with justice being done in this case. This could relate to Jodi solely or indeed to both Jodi and Luke Mitchell if in fact he is shown to be innocent. I have my doubts about the latter since there are issues which remain unanswered. Another interesting point in this case is that there was never any reward offered for information which could see the perpetrator(s) properly convicted. It has been suggested to Mitchell's family on several occasions that they offer such a reward but they are not interested. This in itself sends out the wrong message since if they truly believed in Luke's innocence they would stop at nothing to bring the real culprits to justice. They would rather try and sell their story to the local rag as Luke's grandmother, Ruby Guetta, attempted to do some time ago. It is the very same with the confidential hotline that you helped to set up John, they did nothing but ridicule it instead of supporting it. They want to keep any information in the case within their own grasp and don't want to share anything of value. They keep talking about progress but from what I have seen of their efforts they will be lucky to ever get a referral from the SCCRC. At the end of the day there is no evidence which can clear Mitchell but plenty that can condemn him. Indeed Sandy, that has always concerned me in that people who promote themselves as advocates for the wrongly accused could act in such a way which could only do harm to any investigation. Unless of course they didn't want me to get to the truth in the first place which is always a possibility? There are too many unanswered questions in that case for me. Why did those very same people go out of their way to have the Jodi Jones forum closed down if they themselves had nothing to hide? Their actions speaks volumes. The latest piece of misinformation being posted by those who support Mitchell is that he went over to Easthouses to meet Jodie when all along they have denied that he ever left Newbattle. Isn't it really funny how the truth begins to seep out in the end?? I also find their constant insinuations that Jodie's immediate family were in some way involved in this heinous crime a bit rich and especially so coming from the web-master who was responsible for the death of his own daughter. They need to take a long hard look at themselves and the damage they continue to do to this family who have suffered quite enough over the last 7 years. you made a lot of those acusations yourself john anyone who reads thread will know that. not everybody on theres acusing the jones. other familes are frequntly accused of being involved in the childrens deaths why they can be accused but this one cant. And just on cue up she pops. Lets just say that I was misled into believing that the Jones family were involved in her murder. I most certainly don't believe this to be true any longer having looked at all the facts in the case. The continued refusal by the Mitchell's to address their memory lapses is the clincher for me. Innocent people don't suddenly develop amnesia deary. everybody involved in the case seems to have had memory lapses of some sort. john Ferris and Gordon Dickie. a fair few of the victims relatives an in laws did. not to mention the man with the condom. i cant remember seems to be the most popular phrase in the case. a fair few of the victems relatives an inlaws did. That isn't memory loss, rather being economical with the truth. Today marks the 7th anniversary in prison for Luke Mitchell for the brutal slaying of his then 14 year-old girlfriend. The savage knife attack was one of the worst they had seen according to police. The case is currently before the SCCRC in Glasgow and is due for determination quite soon. There is every possibility that Mitchell could be freed on a technicality following the recent Cadder ruling by the UK Supreme Court. John. How many other cases are you involved with besides this one? 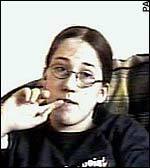 The Simon Hall case, the Kate Prout disappearance and a couple of others. Ire these some private investigations you have going, or what? Not as such, more like a bunch of forums similar to what Mike has created here.